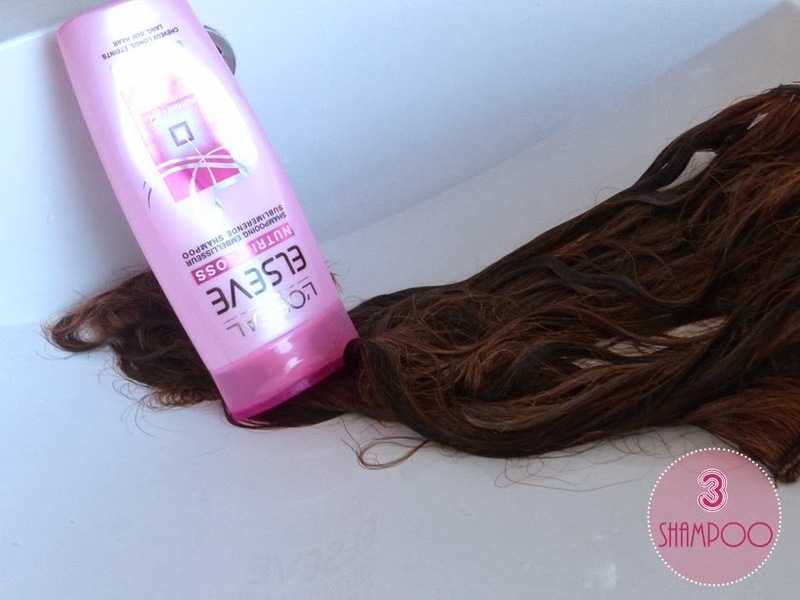 Today I'm showing you how to wash your clip in hair extensions. 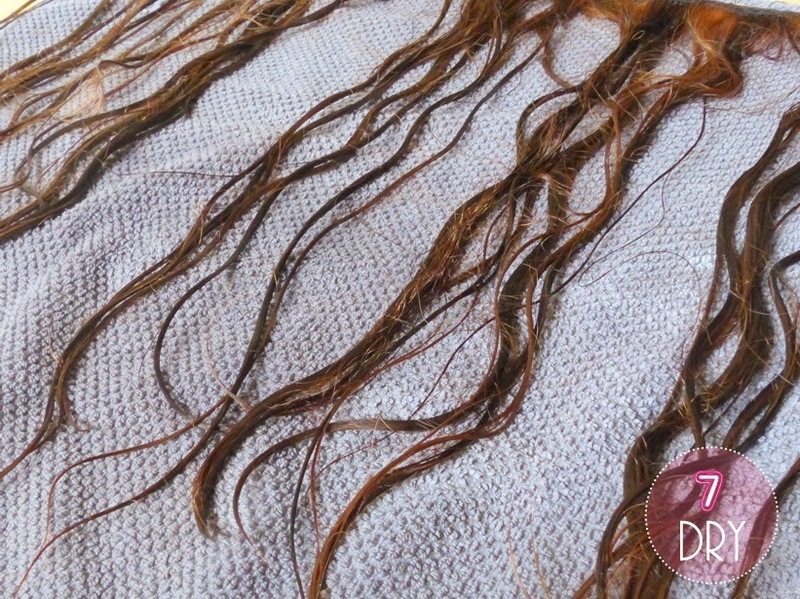 A lot of people fear to damage their hair extensions while washing them, but if you follow these steps you can't go wrong. I've used this routine for some years and my extensions feel softer and smell better after every wash. I do this routine about once a month, depending of how much I wore them. On an average it is after 15 times wearing them. 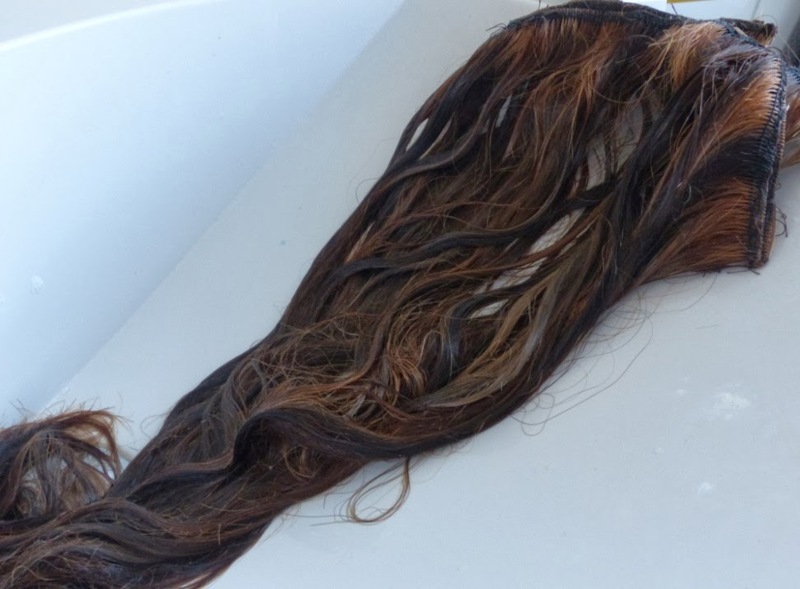 You don't need to wash your hair extensions as much as your real hair, since there aren't any oils from your scalp that make the extensions greasy. However you do need to wash them for removing hair spray, heat protectants, smells etc. Let's get started! Brush out all the knots. 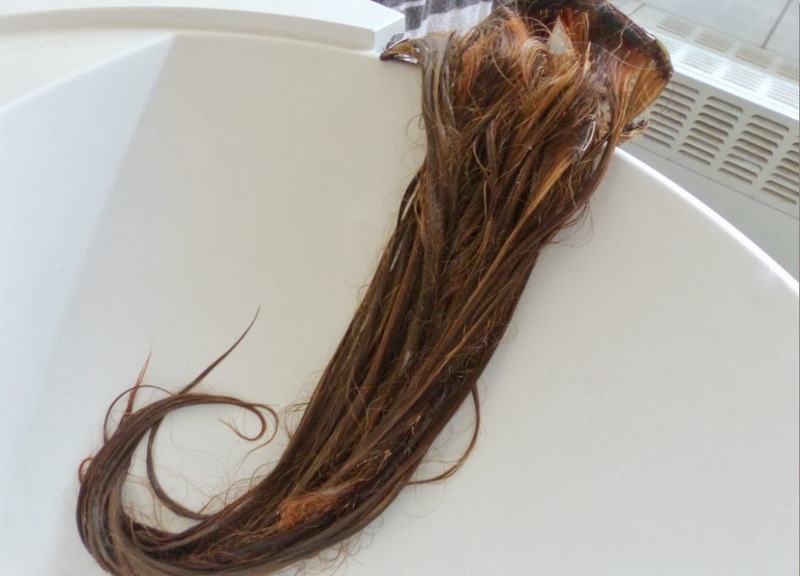 Otherwise the extensions will get tangled during washing. 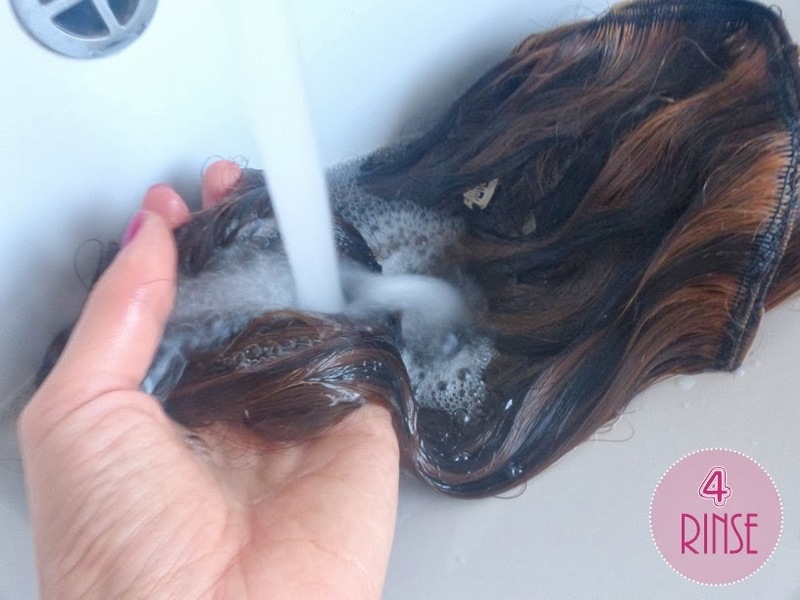 Wet the hair completely from top to bottom with lukewarm water. It's ok when the clips get wet, they're plastic and won't get damaged. The hair extensions need to be very wet. Time for shampooing! I chose this shampoo from L'oréal, just because it's the one I'm using currently on my own hair. I use this amount of shampoo, it's a little bit more than I use on my own hair. They smelled of smoke very bad (I went to a party in the weekend) plus I used hair spray on them, so I wanted to clean them very well. Carefully wash the hair. Don't rub the hair up and down too much, rather massage softly so you don't damage the hair. 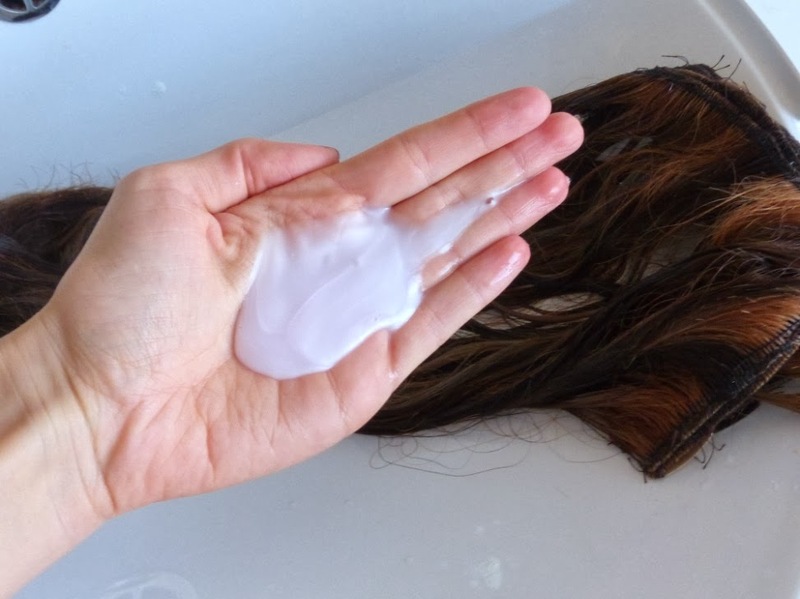 Leave the shampoo in for 10 seconds, so it can really clean the hair. Rinse out the shampoo with lukewarm water. Squeeze out the water to get towel dry hair. Time to nurture the hair extensions! Choose a hair mask and spread it out on the hair. Massage it in and let it sit for the recommended period. 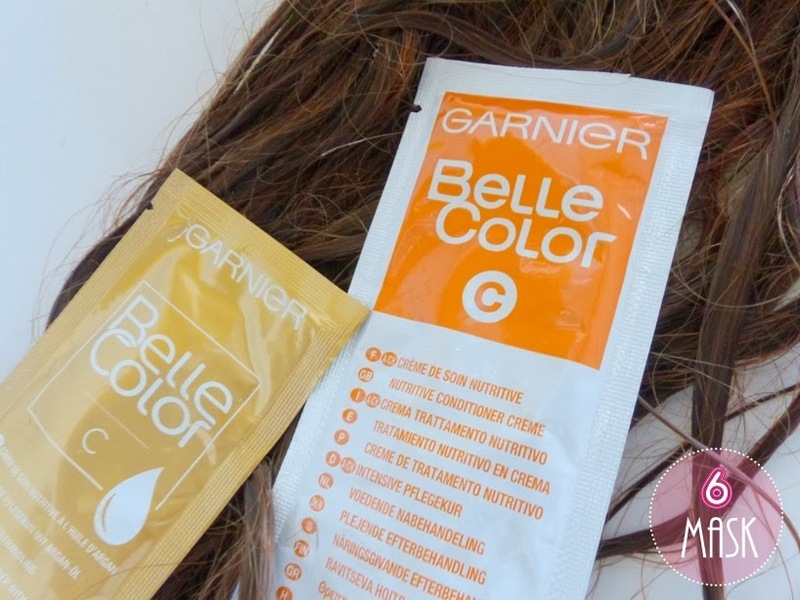 I used these Belle Color Hair masks that come with my hair dyes. Letting the hair absorb the mask. 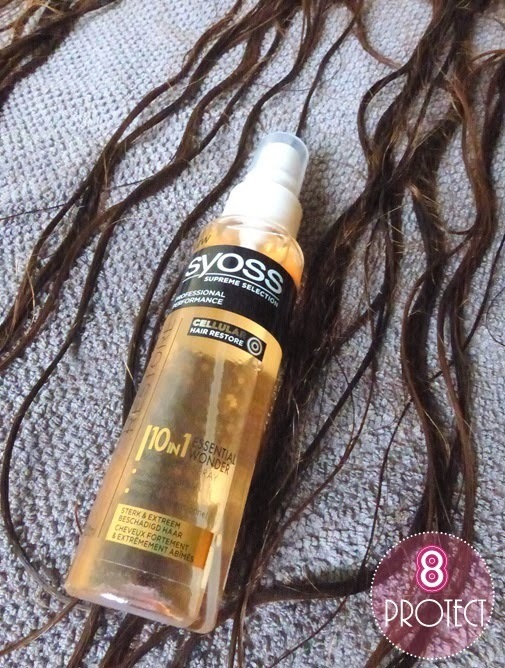 This will add shine and softness to your extensions. Rinse out with lukewarm water and squeeze out the water again. 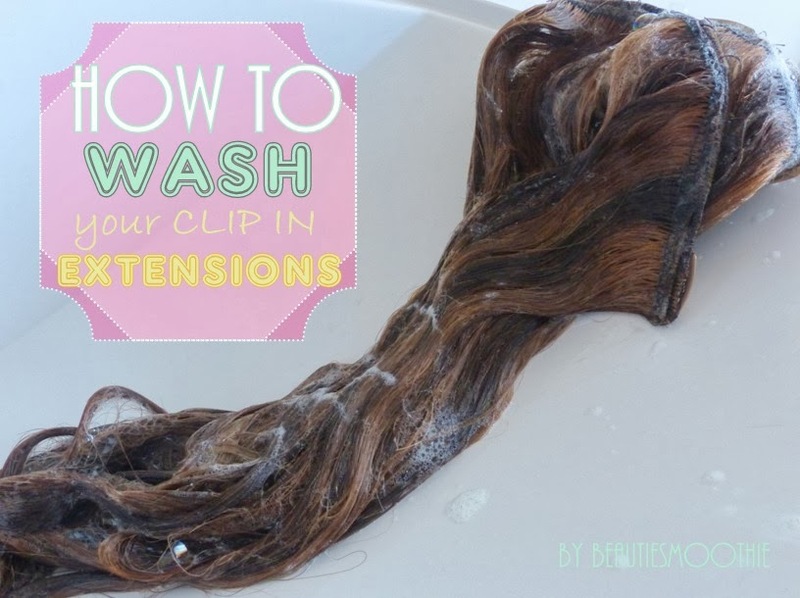 Lay your extensions on a towel. Spread them out so they can dry. Important! Don't comb your extensions. I noticed they don't look as good as when you let them dry in their natural wave. Wait an hour into the drying process to use a serum or protectant on the towel dry hair. This will again add shine and softness to your hair extensions, just as it does with your own hair. Finally leave them on the towel until they're completely dry. 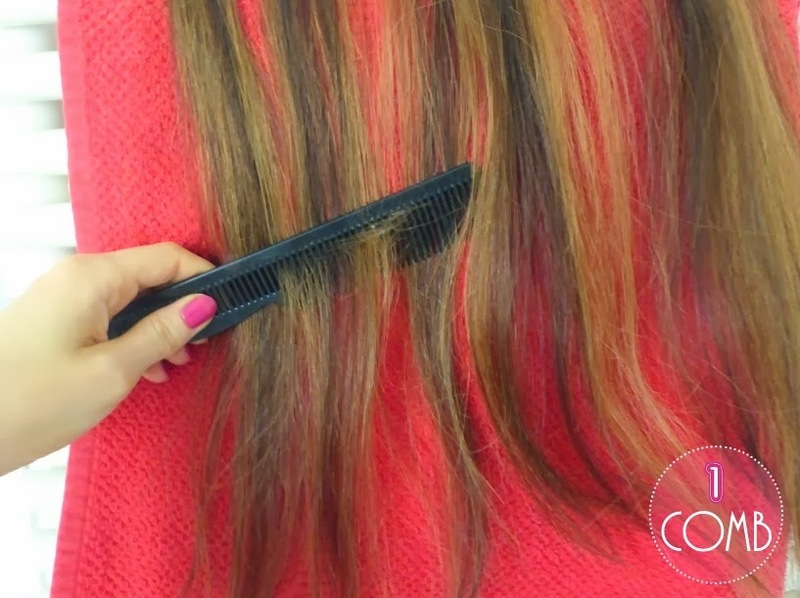 You can now comb through them and style them as you want. The result after the wash. Sometimes, people miss out on the simple things, but the simple things are usually what make a big difference. 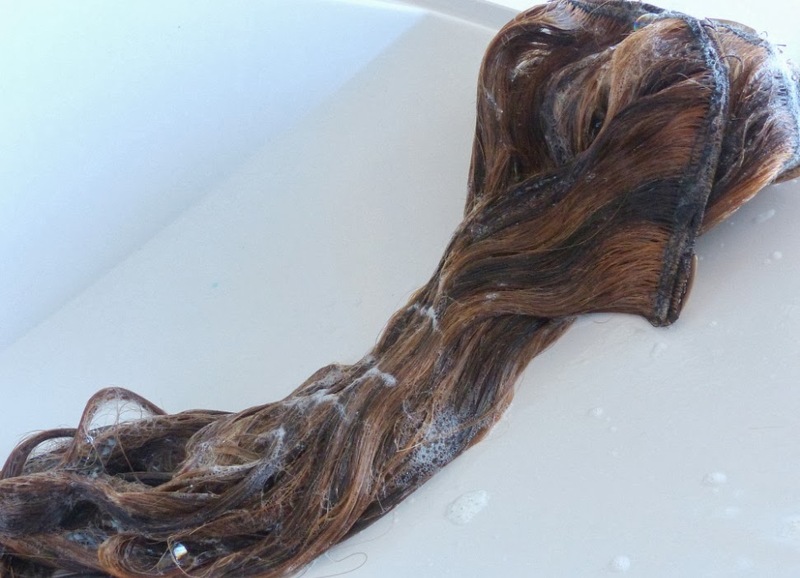 Brushing your extensions before starting is quite reasonable, since like natural hair, extensions get tangled easily if you don't brush them out before washing. Overall, great tutorial! Thank you! This method works great for me, but if you have any other tips I'm always willing to learn! 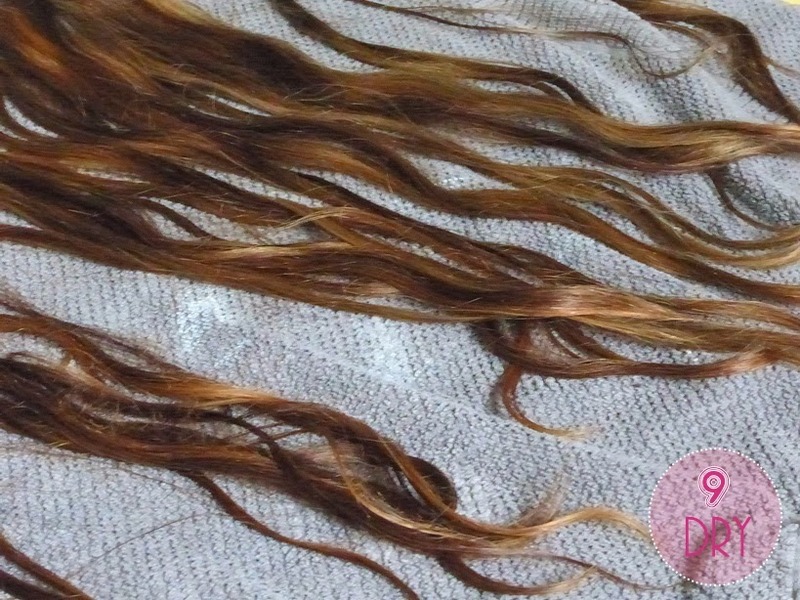 This is a very important procedure for hair extensions, since they require a different treatment than what we usually do with washing real hair. Thanks for sharing these tips with us, I’m pretty sure a lot of people out there could learn from this. Have a great day! Clip in hair extensions are very much used by all womens. 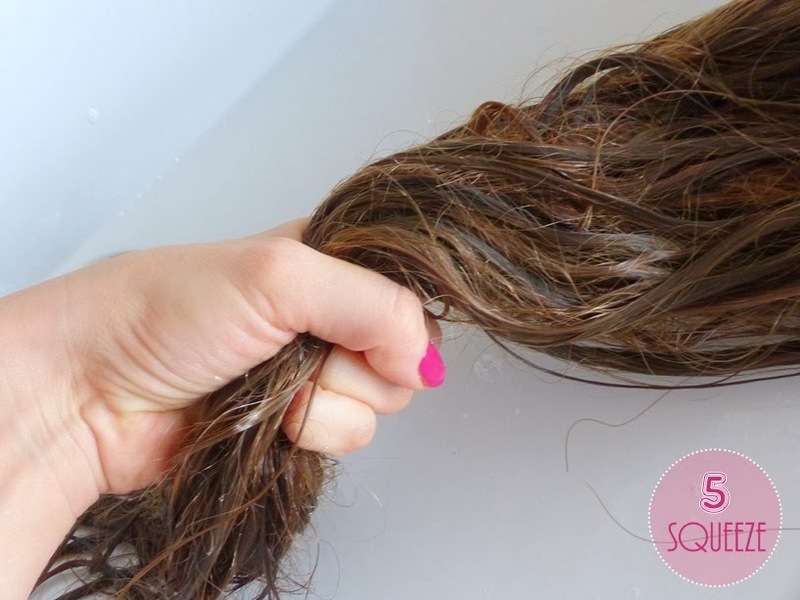 Following this steps will help hair extensions to wash. Nice post shared!!! Getting used of various clip-in hair extensions will help us to look stylish.